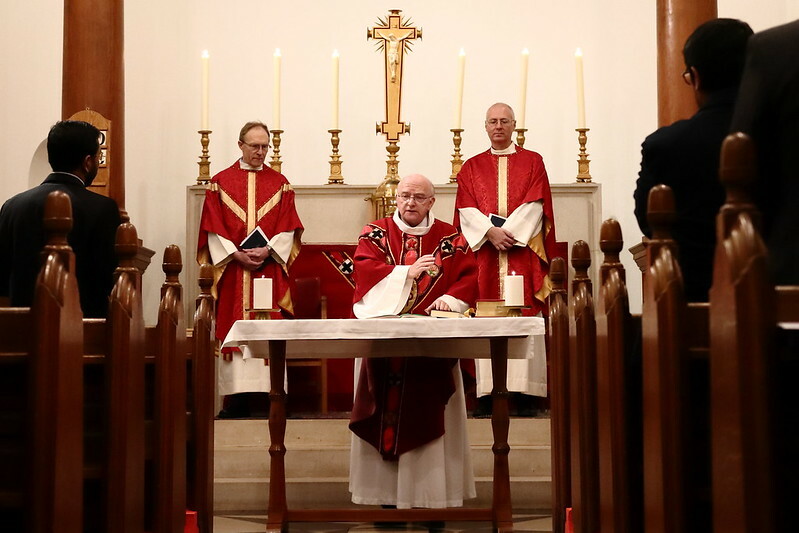 The feast of St Edmund Campion was marked at Campion Hall this year with a change of key personnel: Fr Nick Austin SJ was installed as the new Master of Campion Hall and Fr Frank Turner SJ took over as Superior of the community. Mass was followed by the end-of-term formal hall dinner for the community and invited guests, to give thanks to Fr Hanvey for his five years’ leadership and to welcome Fr Nick and Fr Frank. Other features of the Campion Hall programme in the coming months include an international symposium on discernment, serving Pope Francis’ vision for a discerning Church. A new Arrupe Research Fellow in Forced Migration Studies (a joint appointment with Jesuit Refugee Service International and the Oxford University Refugee Studies Centre) has just been appointed, and a major conference is planned next year on the transformative impacts of accompanying refugees. Fr Nick also hopes to develop Campion Hall’s contribution in spirituality and social ethics. “I am looking forward to the challenge”, he said. Please pray for the work of Campion Hall and its new leaders. 15 hours 55 min ago.